No it doesn't happen very often. Someone on twitter replied to Schlossman's tweet asking if the NCAA approving COA played a role in making it seem like Major jr players are a bit more like college players now. The 7 games the following year makes sense, as UND was guaranteed to have at least 38 games this season. Ah that makes sense now. Thanks. I read it as he's playing in the BCHL next year then sits out a year then misses 7 games the following year. Yup, that's correct. He'll join the team in 2019-20, miss that season and be eligible in 2020-21, but miss the first 7 games. Yes, that's correct. He played 45 games, so he'll miss all of UND's 38 games in 2019-20 and the first 7 of the following year. But he's playing next year in the BCHL. I hope the NCAA starts becoming more lenient. The CHL is nothing more than juiced up junior league. The only issue is that certain players have already signed NHL contracts (received signing bonus $) and have played NHL games. It shouldn’t be hard to figure out who those players are. I thought they were changing the age level for the CHL. The NHL is putting some money in to college hockey, maybe one day the NHL will want players to play at least a year of college hockey. I just read an article in the Herald about Randklev. In it he comments about how much his life changed since moving to Moorhead. Where did he move to Moorhead from? It was Fergus Falls. Hopefully no relation to Anthony Randklev. Read that, too. Hope not. Both Randklevs from FF, I’m sure they are related. Can’t always pick who you’re related to, wouldn’t be his fault obviously. I would guess that creep has already been booted from the family if they are related. When was Randklev added to 2018-2019 roster? Thought he was coming next year. He’s not coming this year. 2019 is the year. CHN shows the UND 18-19 roster with him on it, it also has Wolanin and Gersich, but when it shows recruits Randklev is not amongst them. I was searching for a roster and that was the only place I found one. It shows too many defensemen, but minus Wolanis and move Johnson to forward and they got that right. If you take away Gersich and Huber, move Johnson to forward, they have an extra guy which would be Randklev. Was just surprised to see his name there for this season and not listed with recruits. CHN must have it wrong. Interesting. I know he looked really good at the Wild's D camp. However he was also a healthy scratch for the Force during the end stages of the playoffs. College would be a big jump. This said he was injured in the playoffs. I thought I read something different in a Athletic article. Could be wrong. edit: you’re right. I read the headline wrong a while back. CHN is not the place to go for roster/recruits. 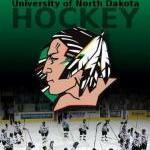 They pretty much never have it right until UND announces the official roster.